This entry was posted in General News and tagged all auburn all orange on April 6, 2011 by Wire Eagle. AUBURN – Auburn University students, alumni and fans will have the opportunity to vote for the 2011-12 All Auburn All Orange T-shirt design April 4-8. All Auburn All Orange, now in its eighth year, was created by the Auburn Student Government Association and the athletic department as a way to promote the unity and spirit of Auburn. It is a celebration of the “Auburn Family,” and the shirt designs will reflect this. This entry was posted in Community, Events and tagged travel with care on April 6, 2011 by Wire Eagle. AUBURN – To heighten awareness of transportation safety, Auburn University, the city of Auburn and the Lee County Sheriff’s Office will launch the “Travel with Care Auburn” campaign, Monday, April 4, at 2 p.m. on Samford lawn. Auburn University President Jay Gogue, Auburn Mayor Bill Ham, Jr. and Lee County Sheriff Jay Jones will join members of the community to kick off the campaign. Monday through Friday, April 4-8, the message of transportation safety will be communicated in a variety of ways with specific information for motorists, cyclists, pedestrians and those who use public transportation. A series of public service announcements will urge drivers to be alert for pedestrians and bicyclists. Pedestrians will be reminded about proper use of crosswalks, pedestrian crossing signals and reflective materials for nighttime visibility. Bicyclists will be reminded to ride with traffic, obey traffic signals and signs, use hand signals and use lights at night for visibility. This entry was posted in Academic achievements and tagged scholar, scholarship on April 6, 2011 by Wire Eagle. 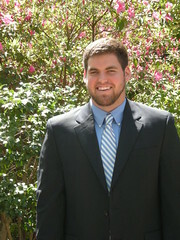 AUBURN – Mobile native Nathan Warner, a biosystems engineering student in Auburn University’s Samuel Ginn College of Engineering, has been selected as one of 80 recipients from 61 universities for a Morris K. and Stewart L. Udall Scholarship for Excellence in National Environmental Policy. Scholars were selected on the basis of commitment to careers in the environment, health care or tribal public policy; leadership potential; and academic achievement. Warner, who is also pursuing a minor in sustainability, is strongly committed to alleviating poverty, which complements his dedication to a sustainable environment. The focus of his honors thesis is the provision of safe water and sanitation to those most affected by poverty and hunger. He is a member of the Honors College, the Committee of 19 and co-founder of the Auburn chapter of “Engineers without Borders.” Warner will use the $5,000 Udall Scholarship to fund his senior year at Auburn. 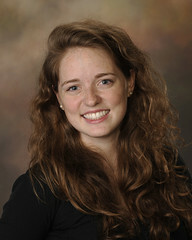 AUBURN – Emily Brennan, a junior in Auburn University’s College of Agriculture, has been chosen as a 2011 Barry M. Goldwater Scholar. The scholarship, given to only about 300 students nationwide each year, is widely considered the most prestigious award in the United States for undergraduates in science, technology, engineering and mathematics disciplines. Brennan, an animal science major, conducts research in Professor Geoffrey Hill’s laboratory in the College of Sciences and Mathematics’ Department of Biological Sciences. This entry was posted in General News and tagged libraries on April 6, 2011 by Wire Eagle. AUBURN – The recent donation to Auburn University Libraries of a letter written by Alabama statesman and politician John Williams Walker (1783-1823) sheds light on an important chapter in Alabama history. In the letter, dated February 1818, Walker lobbied for a western boundary with Mississippi that would keep the majority of the Tombigbee River within Alabama’s borders. The letter is a plea from Walker for the recipient in Washington, D.C., as yet unidentified, to work hard to ensure that the largest part of the Tombigbee, then known as the Tombeckbe, stay within the Alabama Territory and not become part of Mississippi. Walker wrote the letter from the Alabama Territory capital of St. Stephens as he served in the territorial legislature less than two months after Mississippi was admitted to the union in December 1817.